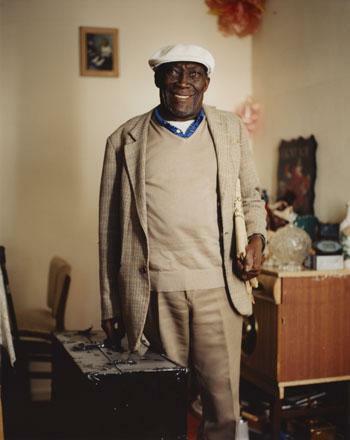 This is fellow Hackney resident George Dimmott, one of the subjects of the Four Corners exhibition which opens at the National Portrait Gallery on Sunday. More here. Lovely. You could have saved him for an elegantly dressed Wednesday! Great pic. I love the hat.